It doesn’t happen too often that a European web startup (or any foreign startup, for that matter) makes it in Japan, but Jimdo is one of the very few examples of those that did. After reading an article on the website building service from Germany on TechCrunch Japan a few years back, a team at Tokyo-based telecommunications giant KDDI (over 30 million mobile subscribers, US$40 billion revenue) decided to bring Jimdo over in 2009. KDDI unit KDDI Web Communications localized Jimdo into Japanese in early 2009 and has been doing pretty well since (even though details are scarce). And it looks like starting today, things will run even smoother, as the Germans and their Japanese partner just announced a major milestone, namely a cooperation with Google Japan and other local businesses. Under the deal, KDDI and Google have started operating a service called Minna No Business Online (Everybody’s Business Online) [JP] today. As the name suggests, the service is supposed to make it possible for small and mid-sized businesses to launch their own websites “in 15 minutes”. 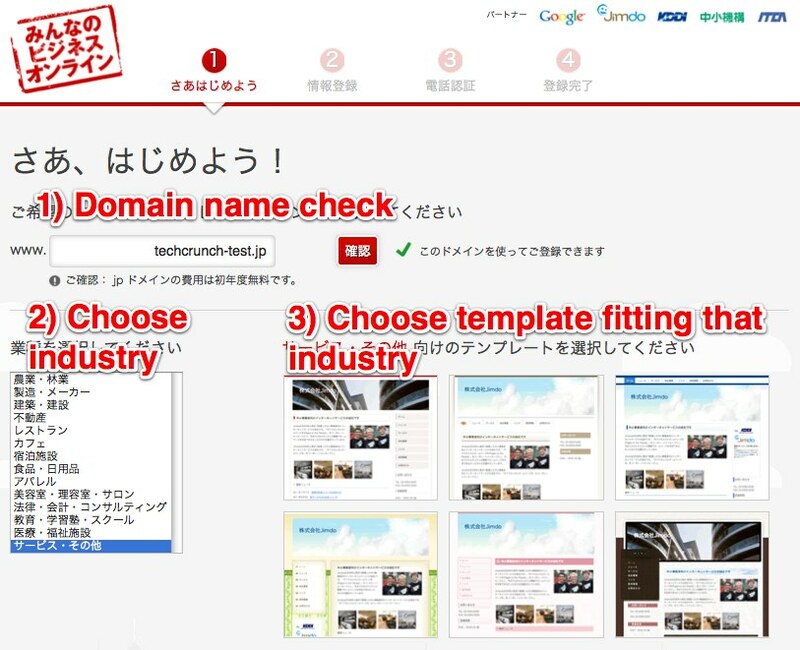 Minna No Business offers a total of 100 designs for companies from over 14 different industries, lets users choose between the most common top-level domains (.com, .jp, .biz, etc.) 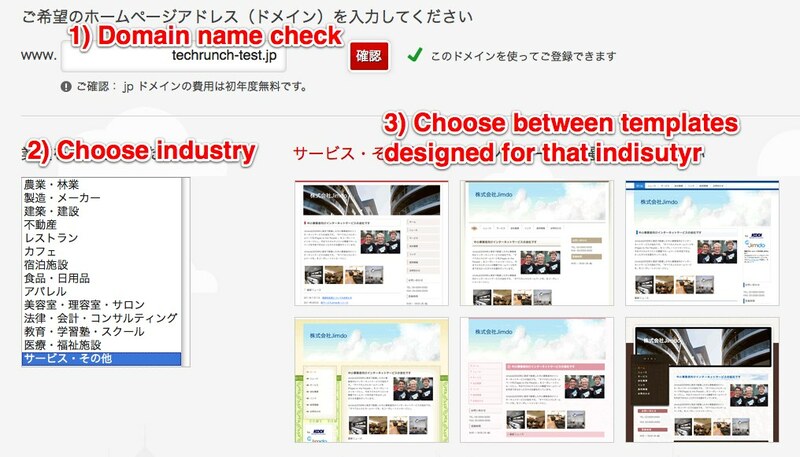 for their sites, and is free for one year (with monthly charges of 1,470 yen/ US$19 thereafter). Jimdo is powering the tool itself, while KDDI and Google are handling marketing, distribution and ads (namely by offering AdWords to website owners). The project partners are looking at a big market (on paper, at least): according to Google Japan, just 24% of Japan’s 4.7 million SMEs currently have an online presence. The plan is to sign up 150,000 customers in the first year. More information (in English) on the Jimdo-KDDI-Google alliance can be found here.